THERE are few sounds that instil a sense of dread in an urbane sophisticate like a bongo drum. It rings nightly through the festival campsites and squat parties of one’s youth, as insistent as gurning teeth. It mocks your inability to sleep, and taunts you that somewhere – just out of thumping distance – lurks an earnest white uni drop-out with a drug stash bigger than yours, drawing in ever-increasing numbers of the sort of people you wouldn’t like, Lord of the Flies-style. I decide I need to face my fear head on. The first thing I discover at this African drumming workshop is that not all hand drums are bongos; quite often it might have been a djembe chilling my blood. 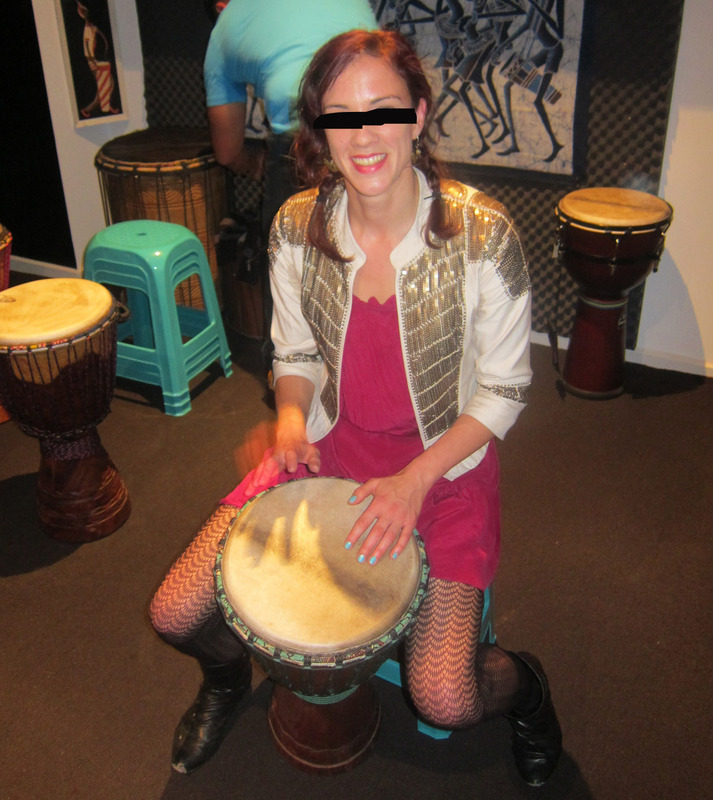 Bongos originate from Cuba and tend to huddle in twos, while djembes are from West Africa and sit singly on the floor between your legs. The workshop’s equally split between men and women of all sorts of nationalities, and to my surprise, no one’s sporting a macramed hat, the colours of the Jamaican flag, or dreadlocks. In these hands the djembe takes on a less sinister slant. I think I’ve got drumming all wrong. For the next hour, we work through four different rhythms, around 20 minutes on each. A couple of regulars get up to dance in the middle of the circle, which is quite awe-inspiring in the case of the dancer from West Africa, and a different matter entirely in the case of the bloke from Elsternwick. I enjoy the challenge of sticking to my pattern throughout as other drummers go off on tangents, or coming up with my own solo in the middle (it’s okay, they ask me to). By the end of it my hands are on fire, and we should probably hug or something, but I slope out the door to get the tram. Keeper? Wouldn’t mind trying the dancing. It’s the sort of dancing you usually do when no one’s looking, hence the challenge.